Who said you can’t eat well in hospitals? 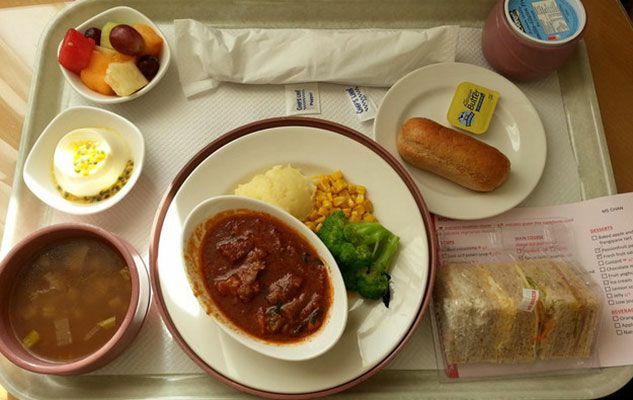 Hospital food doesn’t have the best reputation, in general, but you could be surprised, especially if you travel. With these 22 pictures, put together by the American website BuzzFeed, see for yourself how patients eat around the world. Pumpkin soup, apricot chicken, peas, and mashed potato. A breakfast of bread, pickle, and sausage. Sweet and sour pork, bok choy, and a side of honeydew melon. Mashed potatoes with what looks like sauerkraut (?) and a pastry. Loved this info , makes you want to travel the world . Thanks for sharing the hospital food pics.